When Thorne McCafferty rushes home to the family ranch, he is thinking only about whether his sister Randi will survive the car wreck that has put her in the hospital. He never expects that Randi's E.R. doctor will be Nicole Stevenson. 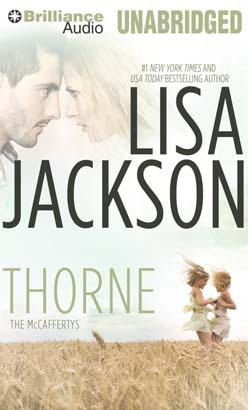 Nicole has never forgotten the teenage passion she shared with Thorne…or the sting of his unexplained rejection. Now she's all grown up—but he still affects her in the very same way. Will they both be able to move beyond their pasts for a second chance at a happy ending?